While visiting the Grand Canyon we have been parked right in the midst of Williams, Arizona. It is a relatively small town at some 3,00 or so residents but has the feel of a larger town due to the significant tourist activity the town caters to. 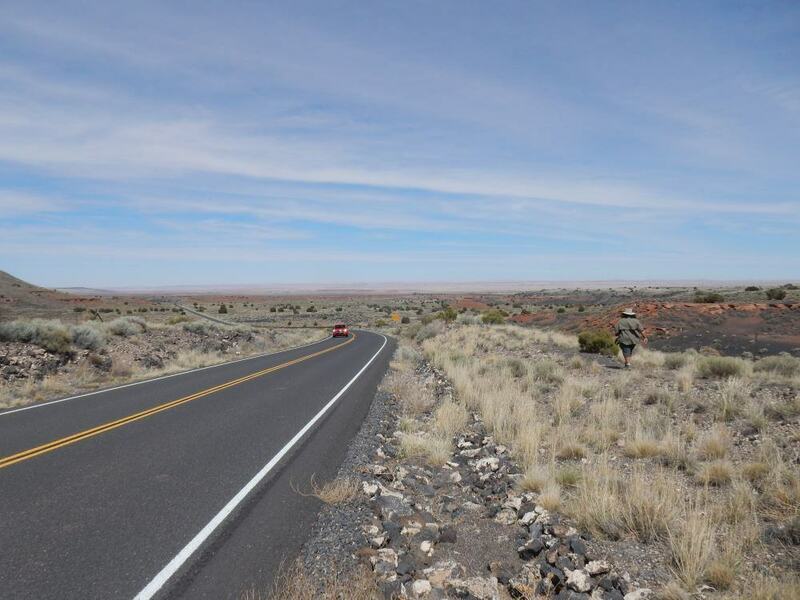 We are here in the spring and while it is not jam packed there are a good number of folks from all over the world wandering the streets between outings to the canyon as well as travelers looking for a stop over on I-40. I keep trying to get “on the road” shots, I think this is nice. Williams was also the last place the old route 66 passed through and there are route 66 signs all over the town. Route 66 was at one time a national road, the primary path to the west by car, but it was effectively replaced by the national interstate system in the 1980s. These days the road is maintained, or not, by each state it passes through. Many now call it “historic state route 66” and this is what it goes by in Williams in the form of two one ways streets passing through town. Route 66 stuff everywhere, and no shortage of ram trucks either. 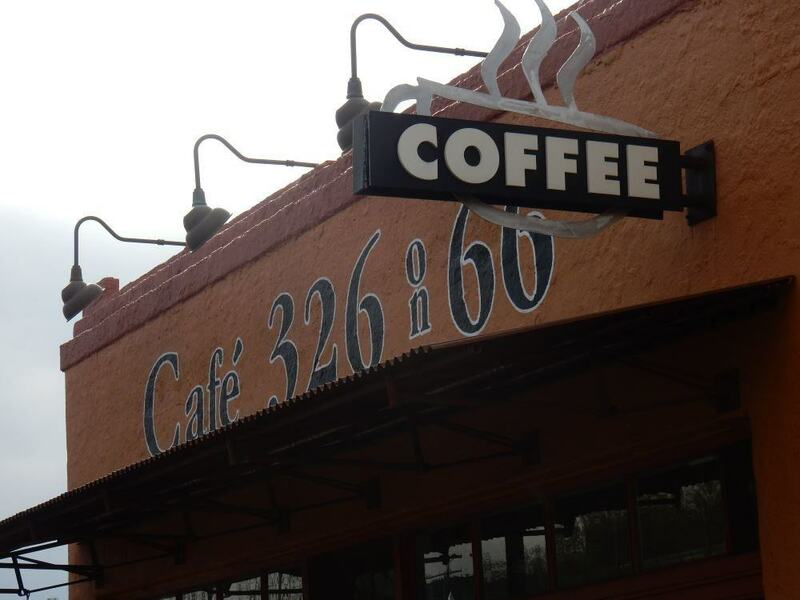 We’ve spent a good bit of our down time at Cafe 326 which is about a block from our park. In addition to free and functional wireless, they have excellent fruit drinks and cinnamon rolls. Indeed, as I type this I’m sitting at one of their booths drinking an earl grey tea, hot of course. Here we’ve found the clientele is mostly local. One local fellow was telling us how he and friends are planning to start a Steam Punk convention in the town this fall. It’s good to know geek life can be found in small town America, even if you have to go to Flagstaff to find a game store. Decent internet and drinks can be found here for weary travelers. I actually like the tourist vibe here. I’ve found there are two kinds of tourist traps. The ones run from afar by large corporations, and the type run by the locals looking to make a living in remote places. Of the two I prefer the latter most of the time. 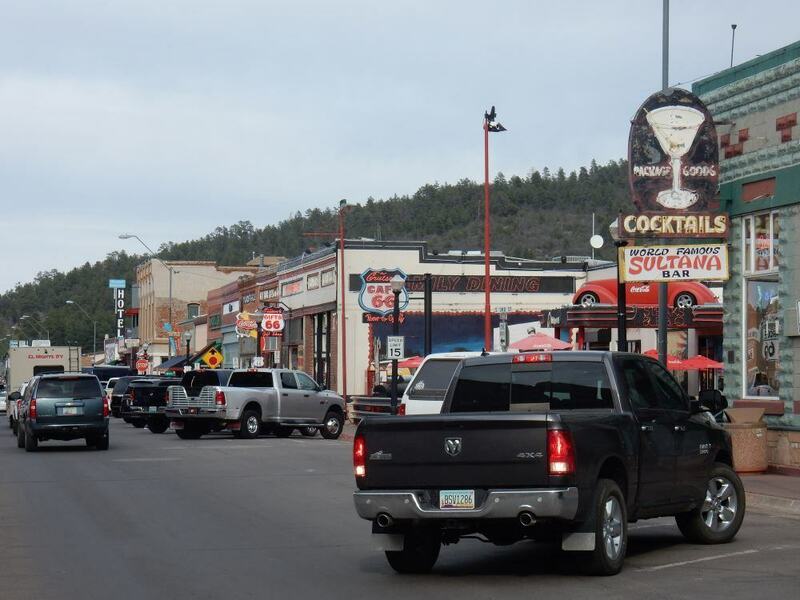 Both can be kind of exploitive and cheap feeling but the locals usually seem to take some genuine pride in the local tourist culture and that is definitely the case in Williams. It is a good place to stay, spend a little money, and have some adventure.